The story goes that Michelangelo (at age 24) signed his pietà after it was placed in the Basilic because he could not endure that the public was guessing by whom it was made. 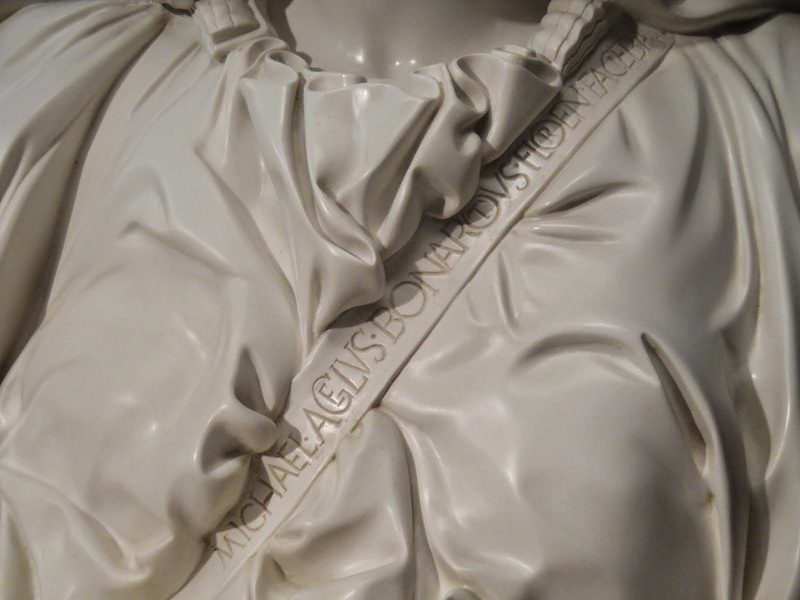 Not only die he sign with his name but added his provenance ‘Florence’ as well: “Michael. Agelus. Bonarotus Florent Faciebat”. He never signed his work again. The Pietà (174cm x 195cm) from Michelangelo Buonarroti (1475-1564) is located in the St. Peter's Basilica, Vatican City.